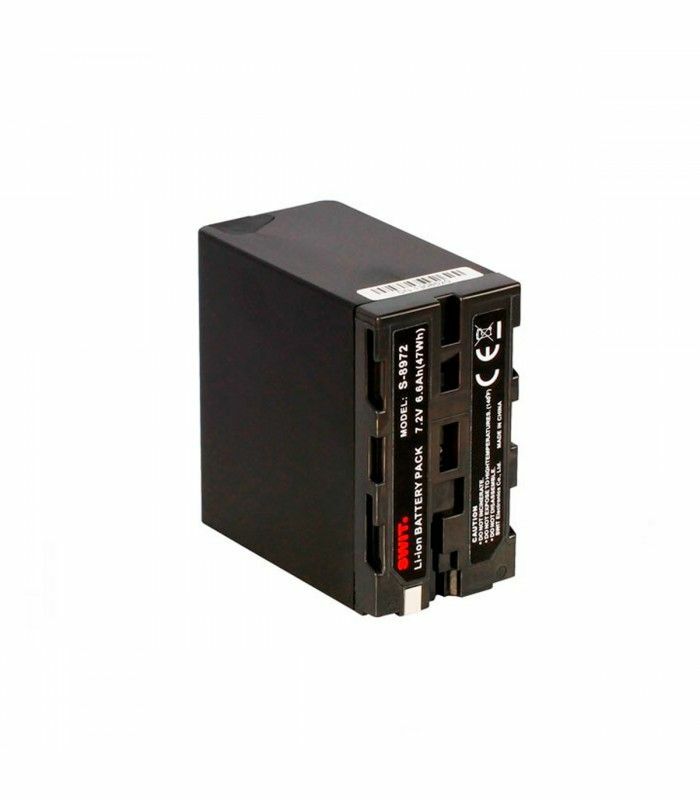 S-8972 is the replacement battery for SONY NP-F970, compatible with SONY HVR-V1/Z1/Z7, DSR-PD190, HD1000E, etc. 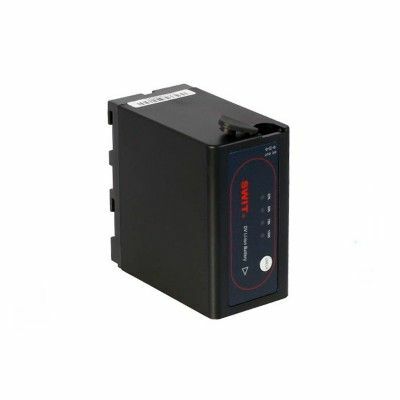 S-8972 can exchange digital info with the cameras, and display remaining power info on the camera viewfinder. With 7.2V nominal voltage, the S-8972 has 47Wh / 6.6Ah capacity, and can run approx 5.5 hours on SONY HVR-Z1 camcorder whenLCD monitor is on. 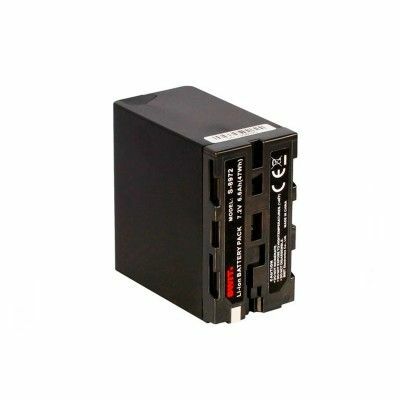 A 5.5/2.1mm pole-tap DC output socket is equipped on the side of S-8972 battery, for DC 7.2V (Nominate) connection. 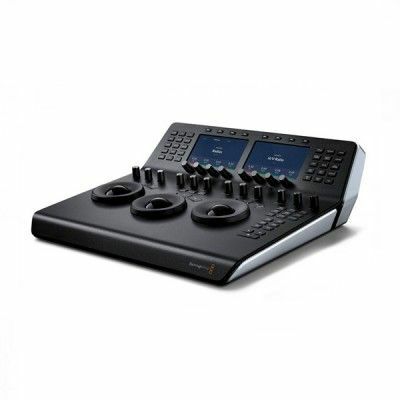 You can connect on-camera LED light, monitor or wireless transmitter on the pole-tap socket, and get power simultaneously with camera.The Max power from the pole-tap is 30W, 4A. 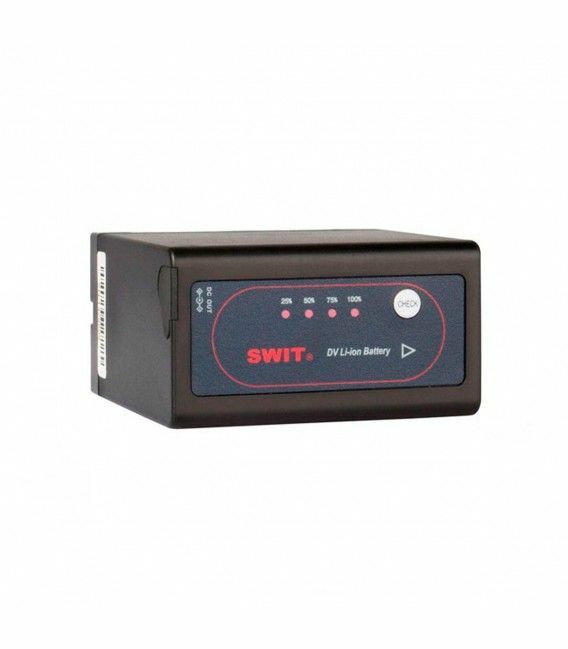 The Pole-tap socket can also be used as charging input, by SWIT portable charger S-3010D. 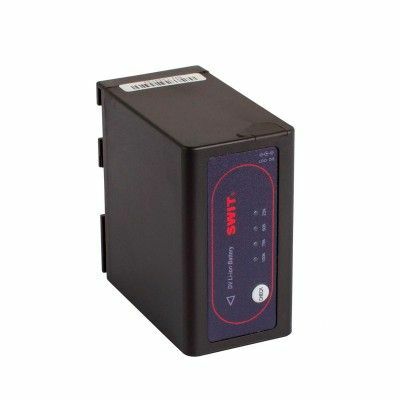 The S-8972 battery has the 4-level LED power indicators to check the battery remaining capacity. You can get a quick view of capacity before using. 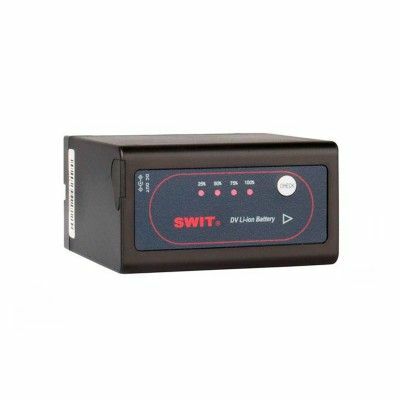 The S-8972 can be charged on SWIT Dual channel charger S-3602F and SONY original charger. It takes about 4 hours and 30 minutes to charge from empty to 100%. And you can also use SWIT S-3010D Portable Pole-tap Charger for S-8972. It will take 7 hours to fully charge.